Joe Baker (Delaware Tribe of Indians) joined the Heard Museum in 2003 as Lloyd Kiva New Curator of Fine Art after serving as dean of the Center for Arts and Culture Studies at the Institute of American Indian Arts. Prior to that, he worked as outreach manager at the Heard Museum and was director of the Art-in-Education Grants Program at the Phoenix Office of Arts & Culture. An accomplished painter and bead-worker, Mr. Baker holds a Master of Fine Arts degree from the University of Tulsa and has completed post-graduate studies at Harvard University’s Graduate School of Education. The Heard Museum was collaborating with the National Museum of the American Indian on a contemporary Native art exhibition “Remix: New Modernities in a Post Indian World,” scheduled to open at NMAI’s George Gustav Heye Center in New York in 2007. During his sabbatical, Mr. Baker spent time in both New York and Santa Fe preparing and writing a curatorial essay for the exhibition catalogue. In 1987, Richard M. Bell began working as director of shelter services at the Society of St. Vincent de Paul Ozanam Manor, a transitional housing program for homeless elderly and disabled people. He completed coursework for a Ph.D. in social-environmental psychology from Arizona State University, and he holds a Master of Arts degree from Michigan State University. “I have never had this kind of individualized opportunity for professional and personal development before. The Piper Fellowship allowed me to construct a program to address three components: enhancing my leadership ability, increasing my management knowledge, and learning best practices for eliminating homelessness. “An ASU workshop on program evaluation provided a chance for me to supplement my knowledge in this area and helped me to foster a shift in staff’s thinking, as well as my own, toward client-oriented services. The American Management Association five-day MBA seminar helped me to determine a key role for myself in marketing and relationship-building. Michelle R. Dionisio was in her sixth year as president and CEO of Benevilla when she received her fellowship. At that time the organization operated a network of six West Valley adult day centers as well as educational services, in-home care, and care-management programs. 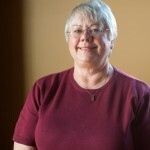 She holds a bachelor’s degree from Brockport State University in New York and has worked in the field of adult daycare and senior healthcare for 25 years. Ms. Dionisio attended an executive education course at Harvard Business School, a training course at the Ritz Carlton Leadership Center, and a two-day Service Leader’s Board for Service Excellence program. 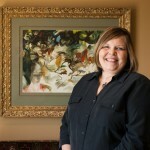 She attended the Center for Creative Leadership and completed the Leadership Development program. In addition, Ms. Dionisio attended the social enterprise alliance conference to learn more about creating and maintaining social venture projects. – Juanita Howard, Clinica Adelante, Inc.
A registered nurse, Juanita Howard served as director of quality management and deputy director of Clinica Adelante, Inc. (now Adelante Healthcare) when she was awarded the fellowship. There she facilitated process improvement, staff development, and organizational change. Adelante Healthcare is a community and migrant health center dedicated to providing primary healthcare services to residents of Maricopa County. Ms. Howard holds a Master of Organizational Management degree from the University of Phoenix in addition to a Bachelor of Science in Nursing from Arizona State University. At the time of her fellowship Kathy Nugent served as finance director for Fresh Start Women’s Foundation where she coordinated financial activities, oversaw facility operations of the Women’s Resource Center and managed human resources. She has completed courses at the University of Phoenix, Maricopa Community Colleges, and ASU’s Center for Nonprofit Leadership and Management. Ms. Nugent attended a two-week executive program at Stanford Graduate School of Business, leadership development training with Franklin Covey and coursework at ASU’s Center for Nonprofit Leadership and Management. Additionally, she received one-on-one training with a human resources consultant and worked with two corporate culture and transformation consultants.